Whether out on the open ocean or on an inland waterway, maritime work can be dangerous. Contrary to popular belief, maritime accidents don’t just happen at sea—they can also occur on inland waterways such as lakes, rivers, and canals. Seamen and other maritime laborers who work on tug boats, barges, fishing boats, drilling rigs, and platforms on inland waterways face significant workplace risks. Each year, numerous maritime workers are injured on the job in diving incidents, dredge accidents, falls, heavy machinery malfunctions or when exposed to toxic chemicals such as asbestos or benzene. These accidents can leave workers with serious injuries, including lacerations, burns, torn or strained muscles and ligaments, broken bones, crushed limbs, amputations, concussions, traumatic brain injuries (TBIs), spinal cord injuries, permanent paralysis, and slipped, herniated, ruptured, or bulging discs. After such an accident, maritime workers may find themselves temporarily or permanently out of work and facing a mountain of unexpected medical expenses. Fortunately maritime law provides protections for injured workers, regardless of whether their injury occurred while working on a vessel in open waters or on a freshwater inland waterway. 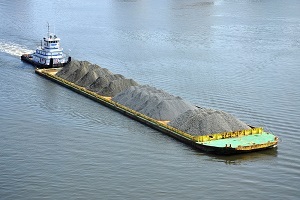 Seamen injured on the job can sue their negligent employers under the Jones Act, while those who spend less than 30 percent of their time working aboard an operable vessel and, thus, aren’t legally considered seamen, can seek compensation under the Longshore and Harbor Workers’ Compensation Act (LHWCA). Do You Need a Maritime and Admiralty Attorney? If you’re a seaman or other maritime laborer who was injured in an accident that occurred while you were working on a vessel on an inland waterway, you may be eligible for compensation. The experienced maritime and admiralty attorneys with Steve Lee Attorney at Law can help you explore your legal options and fight for the monetary award you deserve after an on-the-job accident and injury. Contact attorney Steve Lee’s Houston law office today to schedule an appointment for a free initial case consultation.